You know Gravina’s for windows, doors, and siding. 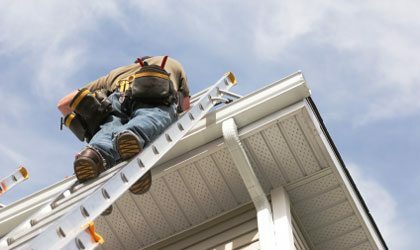 But did you know we install gutter systems, too? Gutter systems are essential for proper drainage off roofing systems. Using aluminum is the best choice in Colorado because it won’t warp like it’s vinyl counterparts. Also, aluminum offers a variety of color choices to match your house. We install 5” seamless aluminum gutters, which don’t rust, corrode, or warp, and the 5″ ones allow for optimum draining vs. the old 3” galvanized steel gutters.